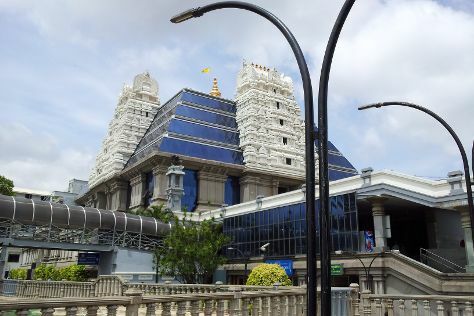 On the 8th (Sat), take in the spiritual surroundings of ISKCON Temple Bangalore and then look for all kinds of wild species at Bannerghatta National Park. Get ready for a full day of sightseeing on the 9th (Sun): take a stroll through Commercial Street, soothe aching muscles at some of the top local wellness centers, then contemplate the long history of Tipu Sultan's Summer Palace, and finally engage your brain at Visvesvaraya Industrial and Technological Museum. To find maps, more things to do, and other tourist information, read our Bengaluru trip itinerary planning website . If you are flying in from United States, the closest major airport is Kempegowda International Airport. In December, daytime highs in Bengaluru are 81°F, while nighttime lows are 62°F. Finish your sightseeing early on the 9th (Sun) to allow enough time to travel back home.